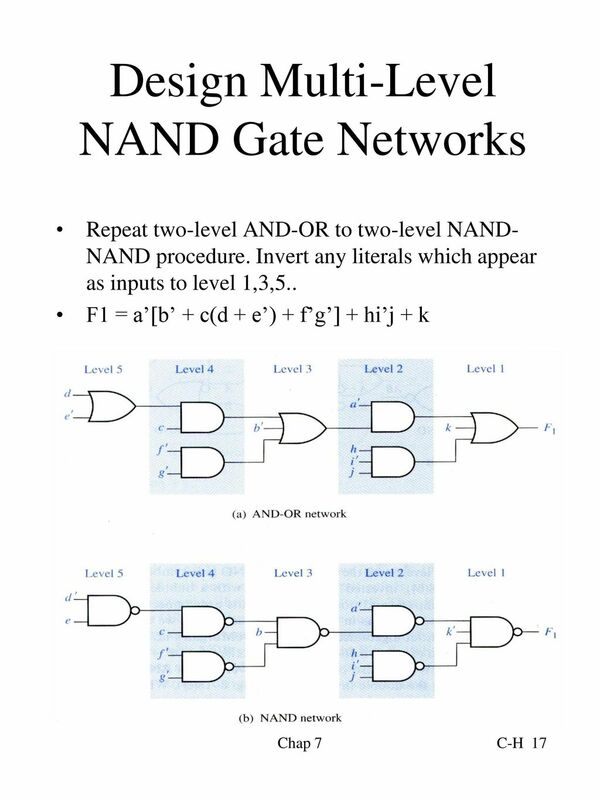 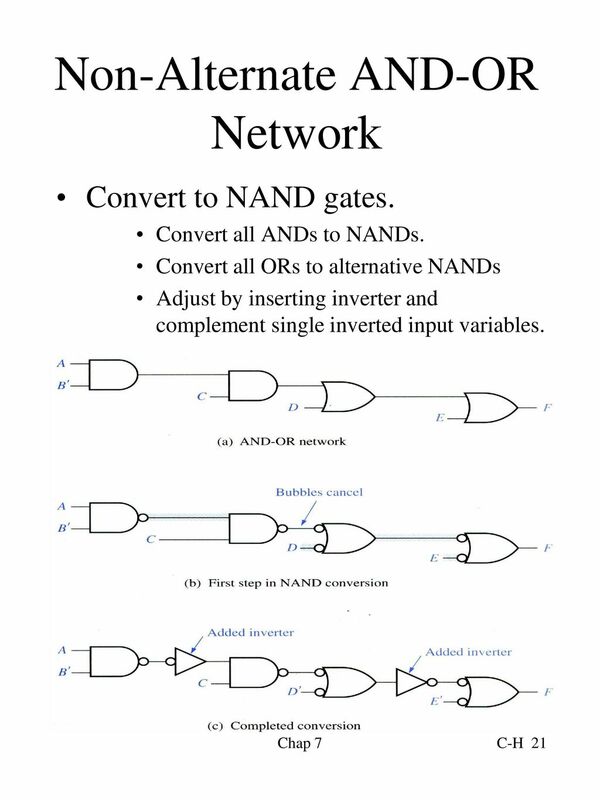 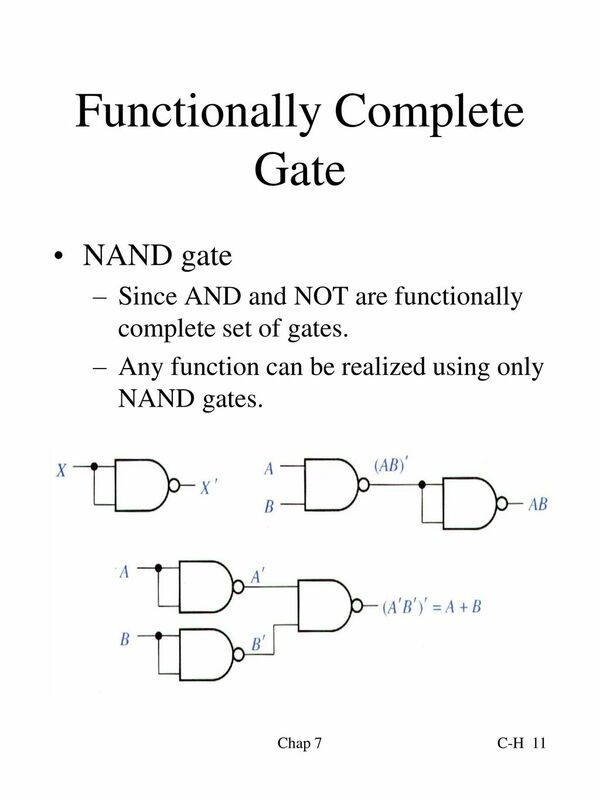 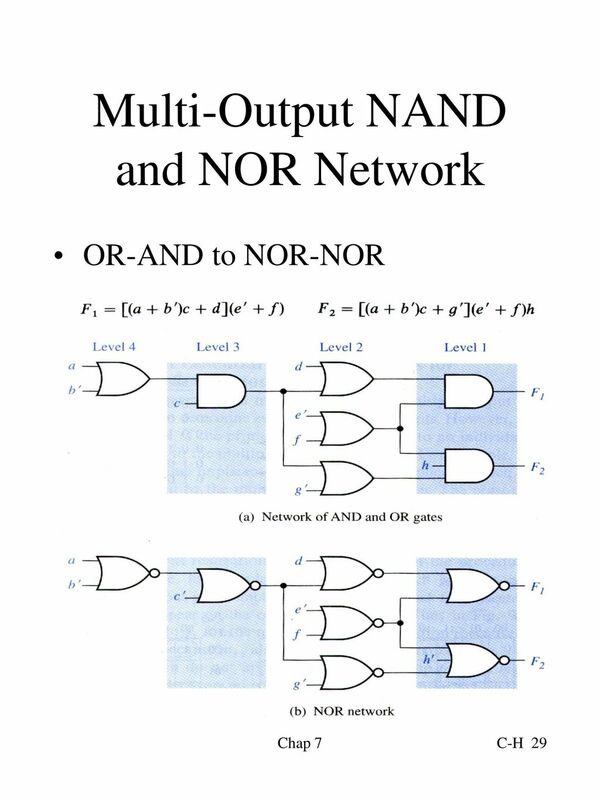 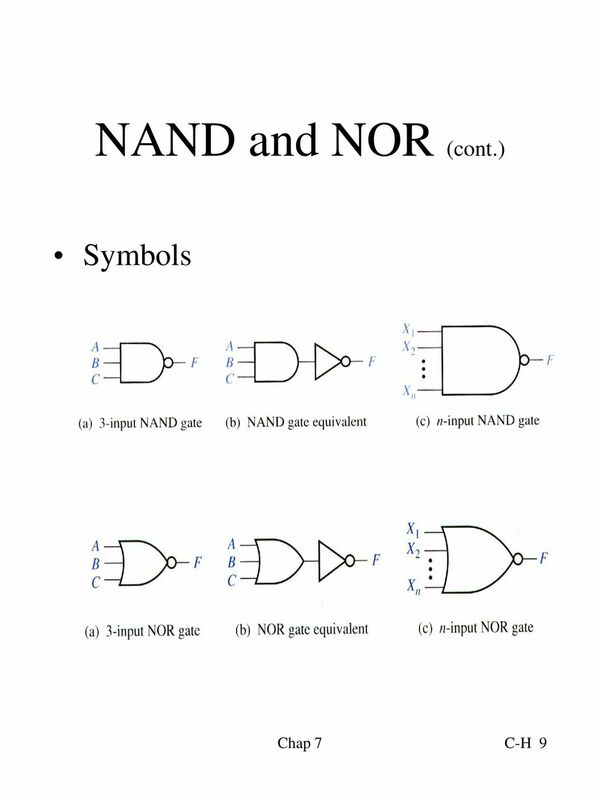 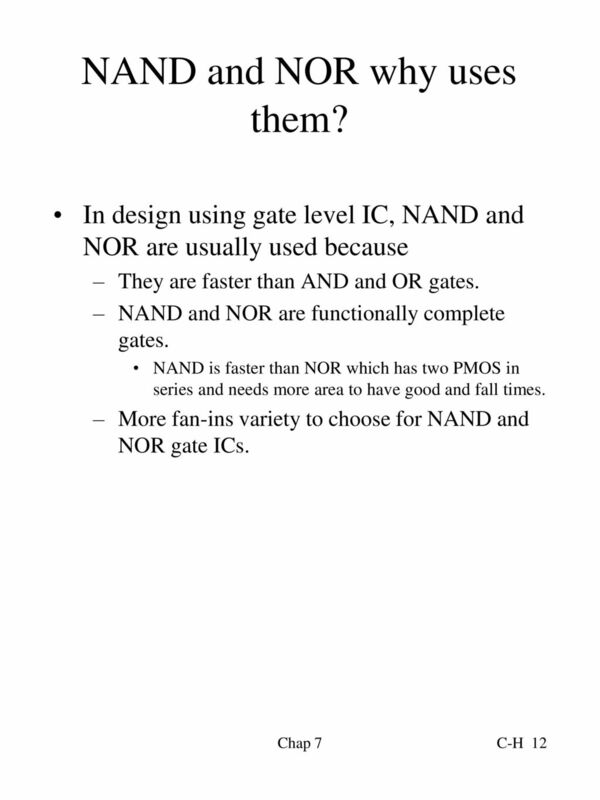 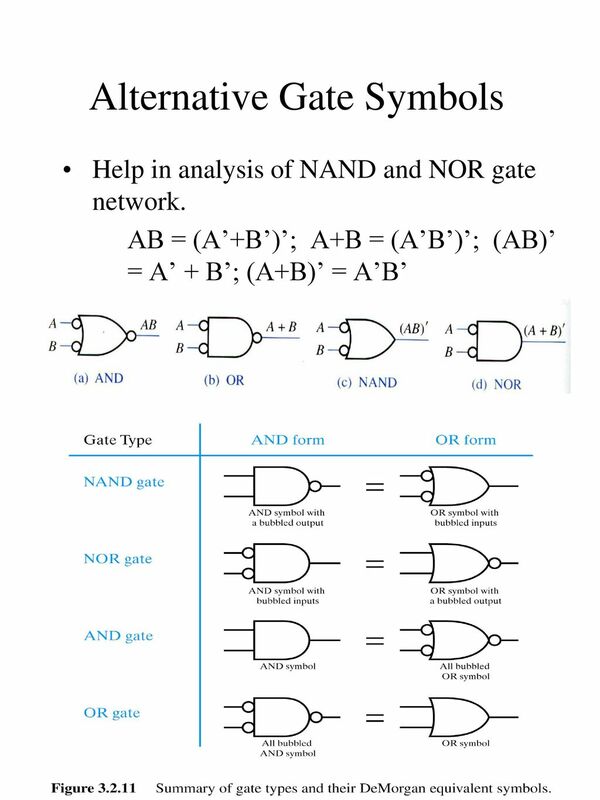 8 NAND and NOR Gate NAND gate NOR gate NAND and NOR are duals. 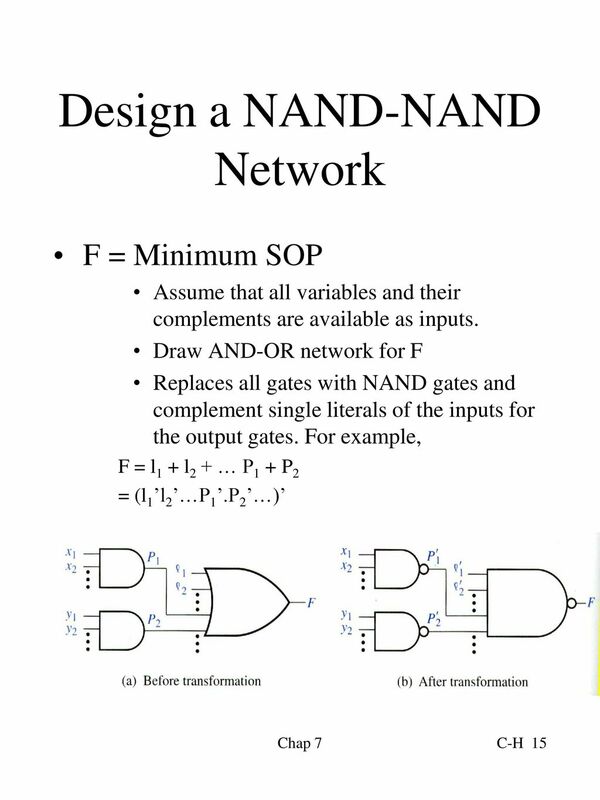 12 NAND and NOR why uses them? 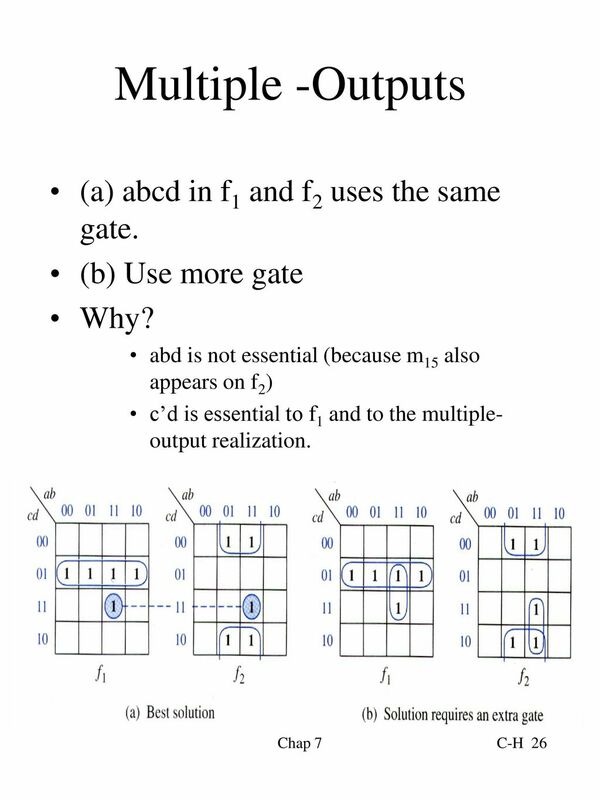 26 Multiple -Outputs (a) abcd in f1 and f2 uses the same gate. 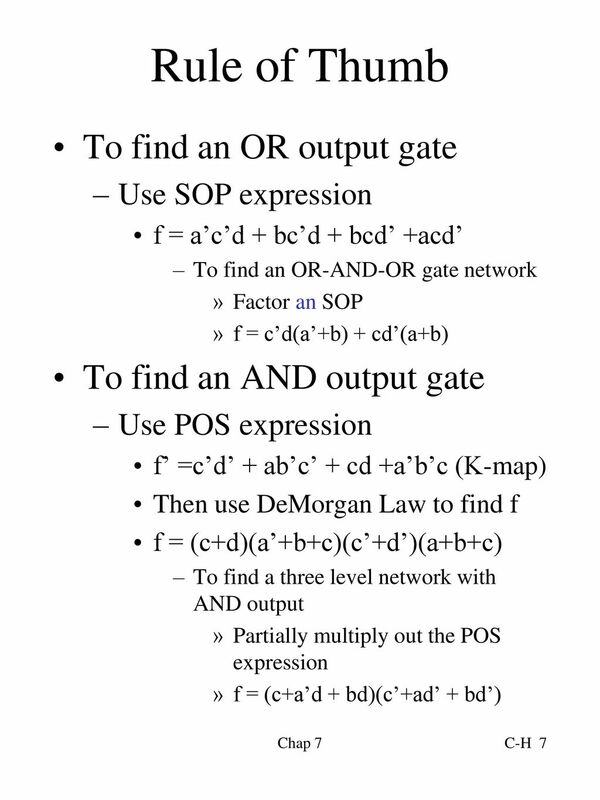 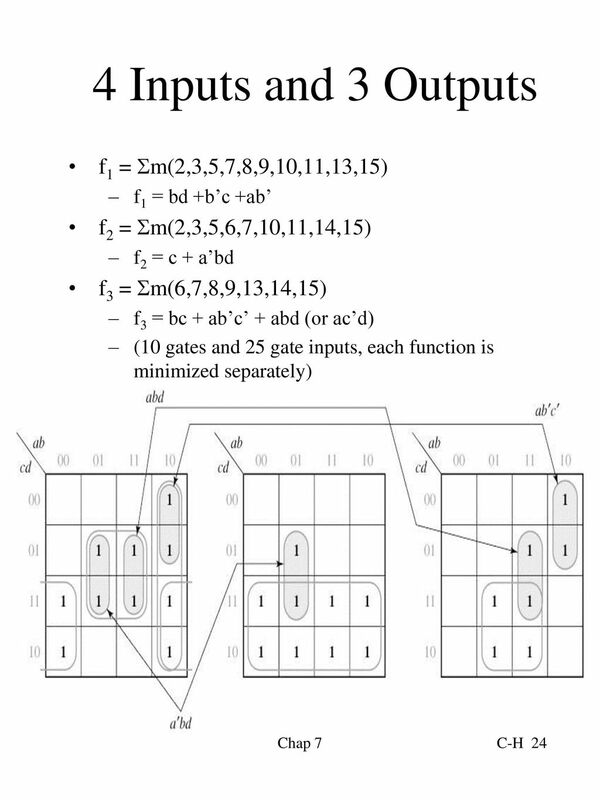 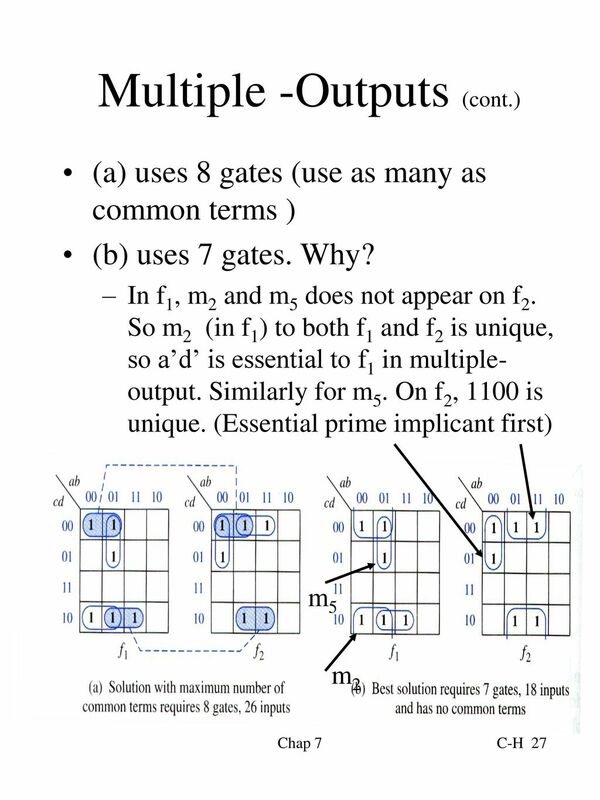 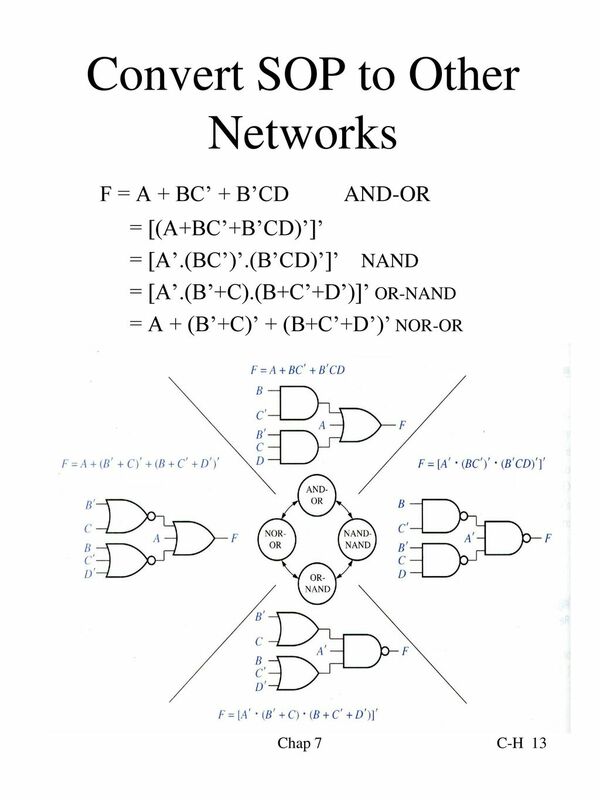 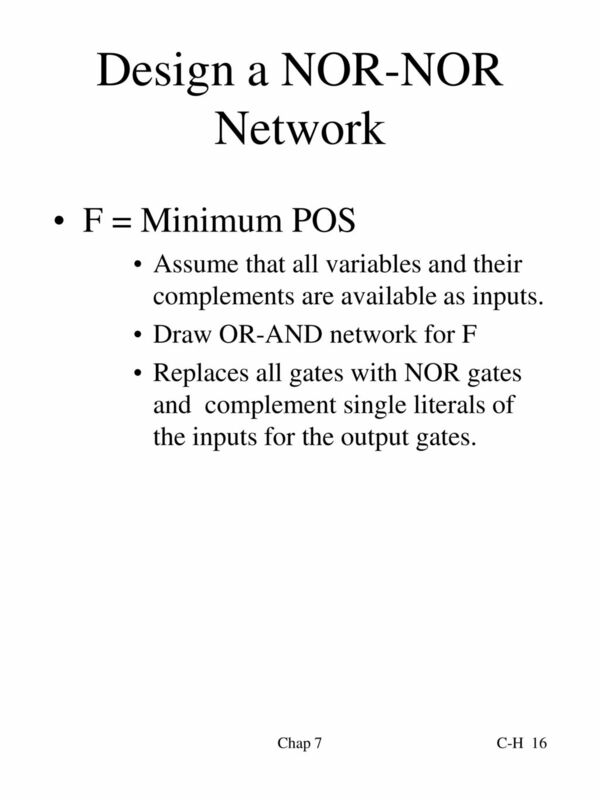 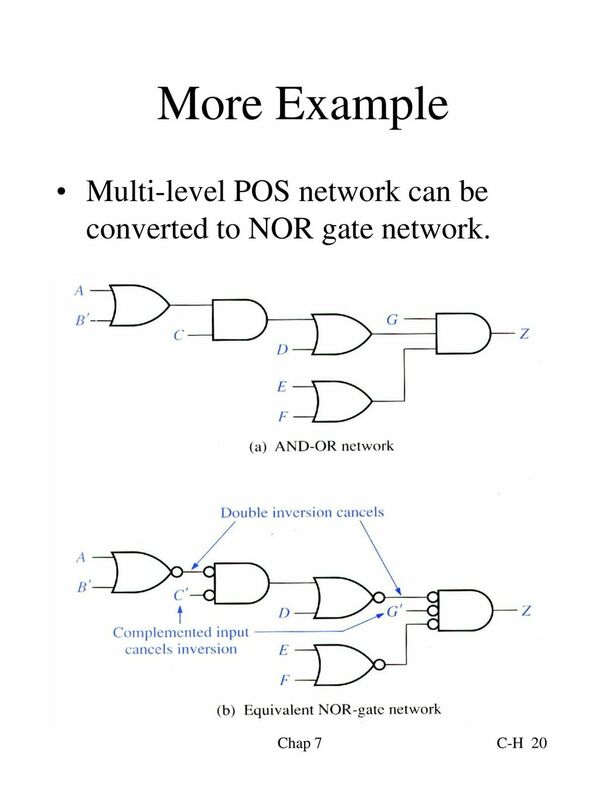 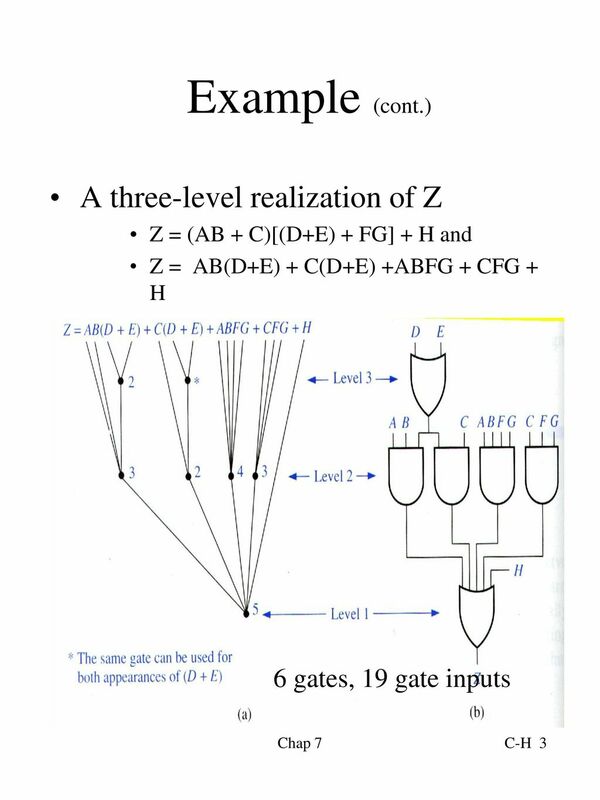 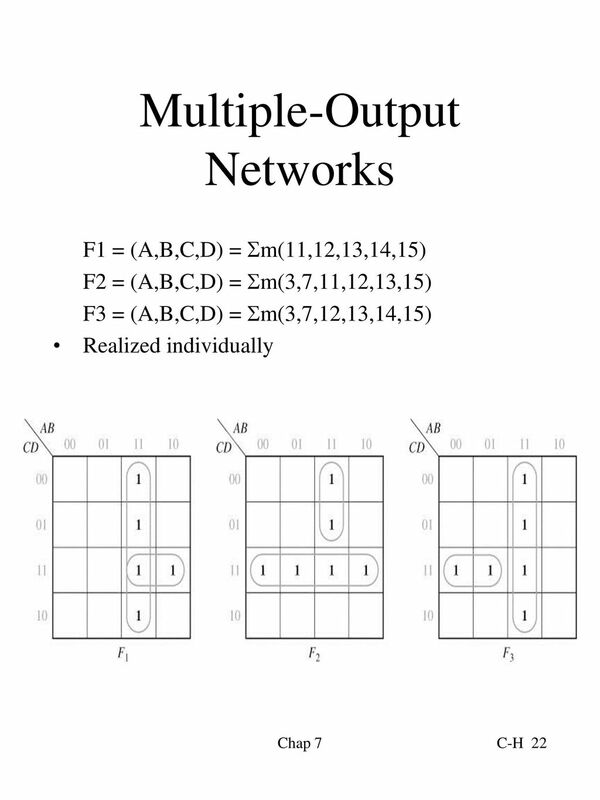 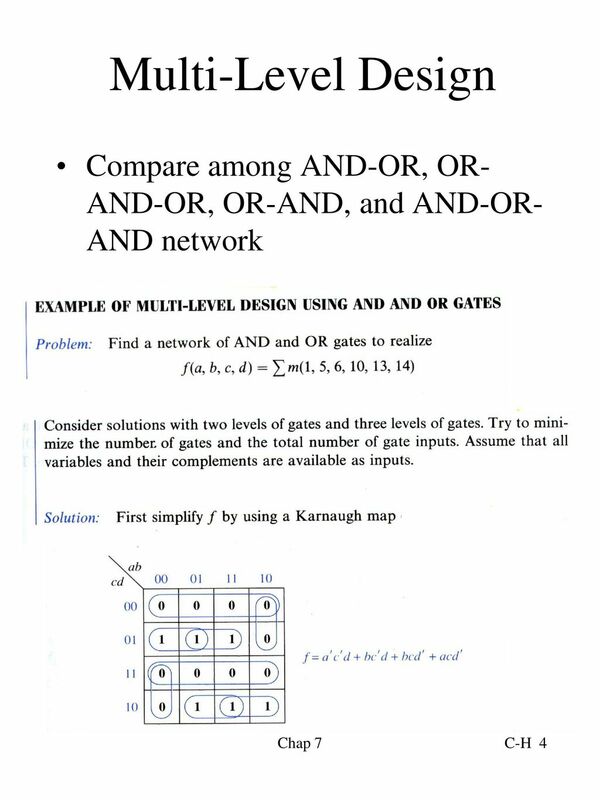 Download ppt "Lecture 7 Multi-Level Gate Networks"
Switching circuits Composed of switching elements called “gates” that implement logical blocks or switching expressions Positive logic convention (active. 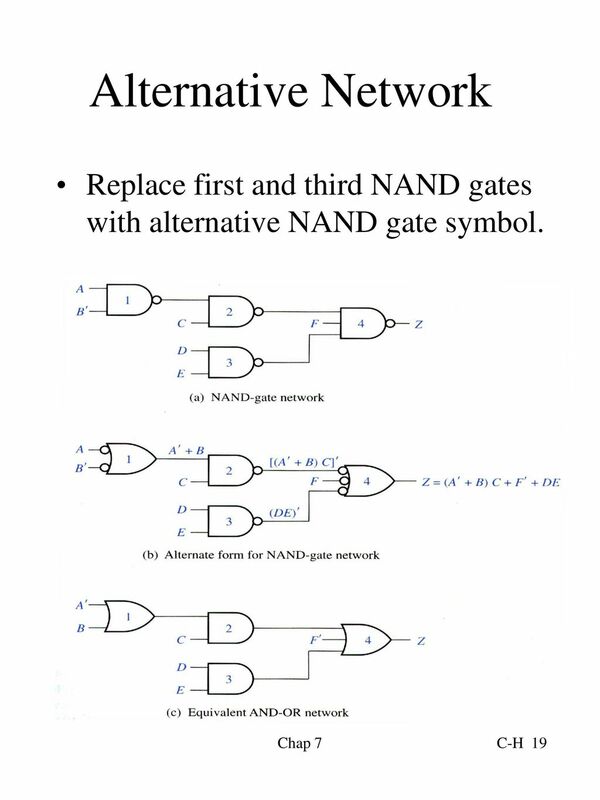 Unit 7 Multi-Level Gate Circuits / NAND and NOR Gates Ku-Yaw Chang Assistant Professor, Department of Computer Science and Information. 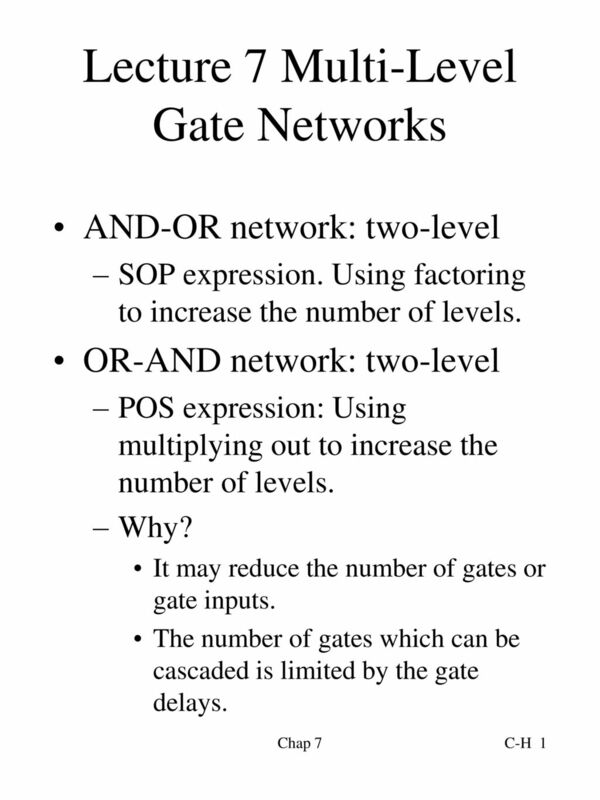 Gate-Level Minimization. 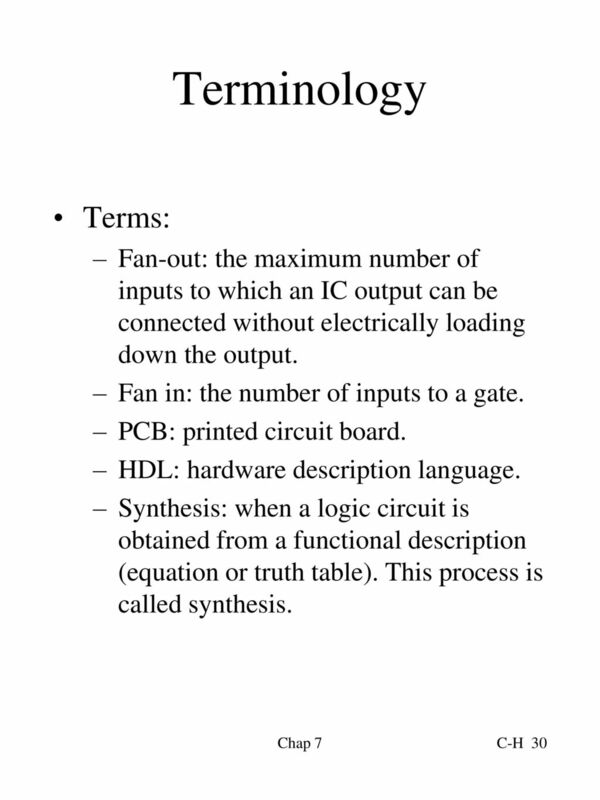 Digital Circuits The Map Method The complexity of the digital logic gates the complexity of the algebraic expression. 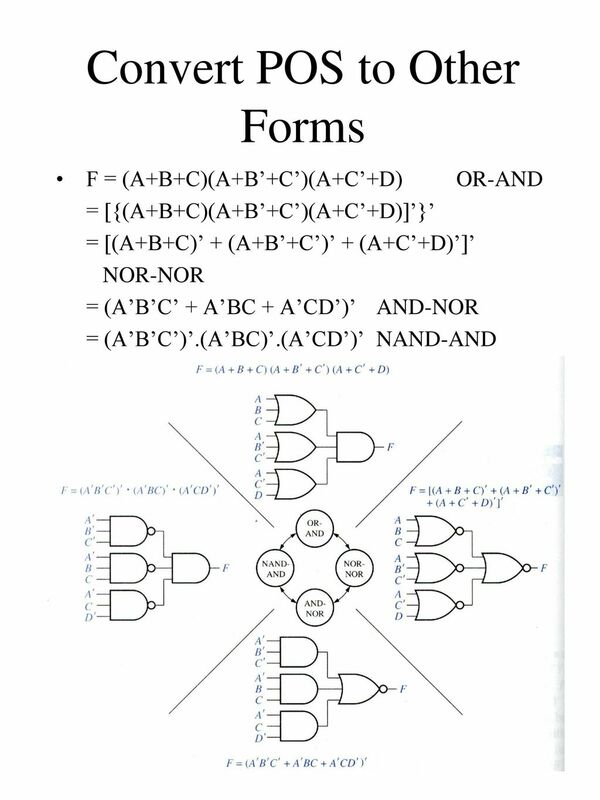 Contemporary Logic Design Two-Level Logic © R.H. Katz Transparency No. 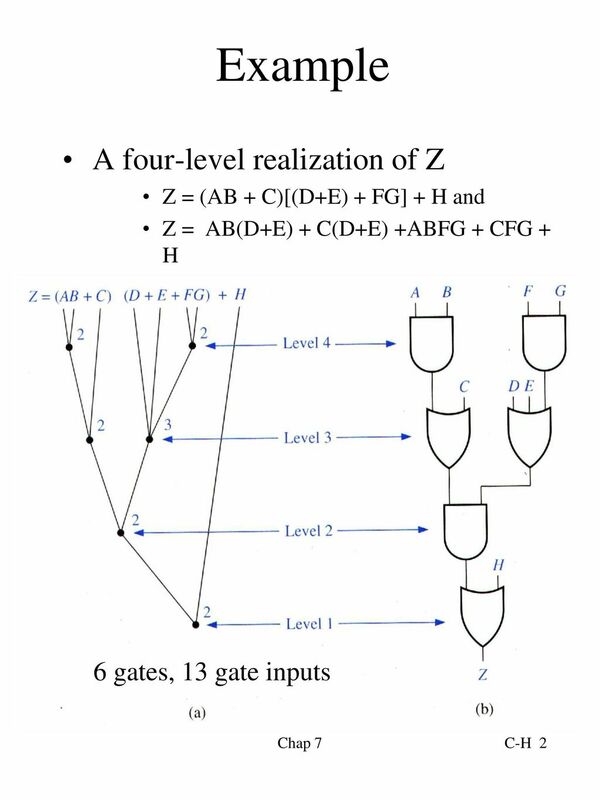 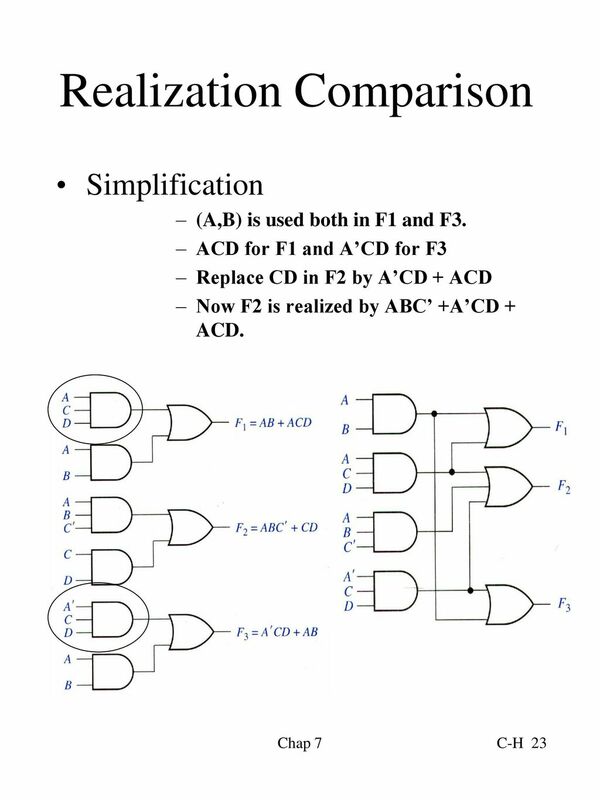 4-1 Chapter #2: Two-Level Combinational Logic Section 2.3, Switches and Tools. 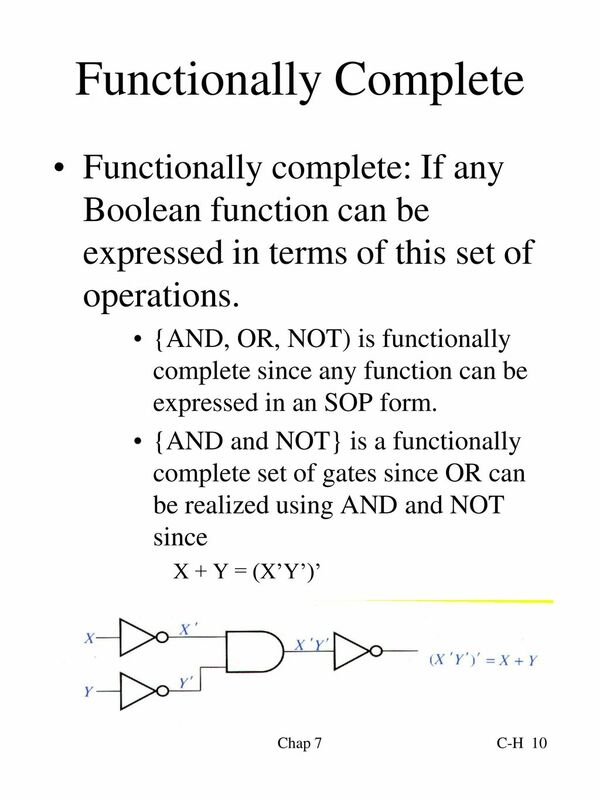 ECE 301 – Digital Electronics Boolean Algebra and Standard Forms of Boolean Expressions (Lecture #4) The slides included herein were taken from the materials. 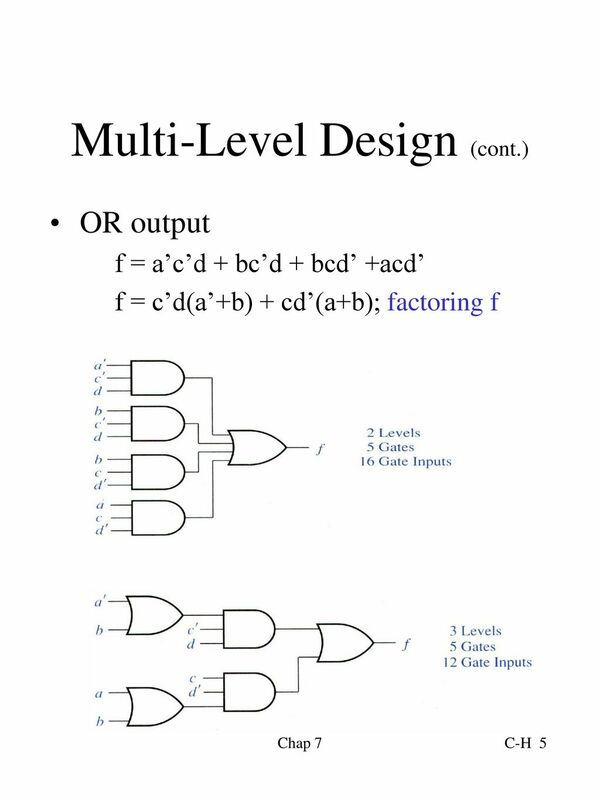 ECE 331 – Digital System Design Multi-level Logic Circuits and NAND-NAND and NOR-NOR Circuits (Lecture #8) The slides included herein were taken from the. 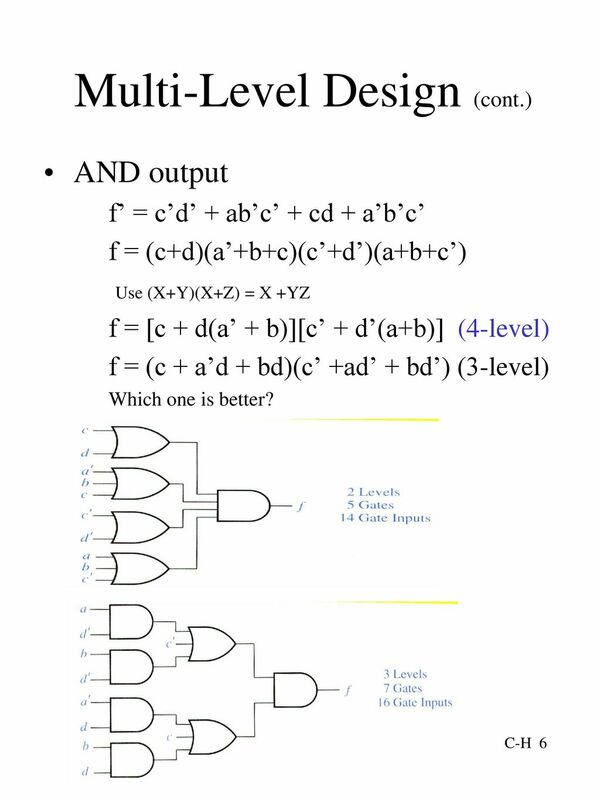 Digital Logic Design Adil Waheed. 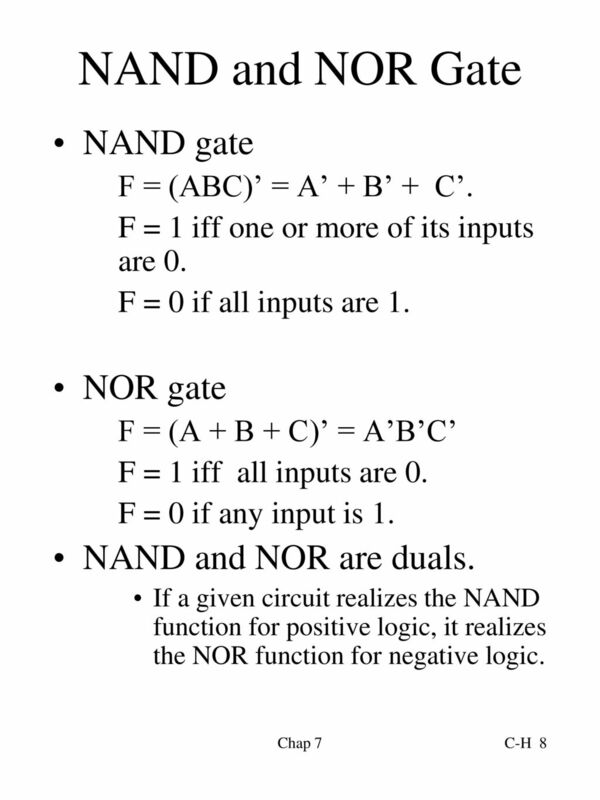 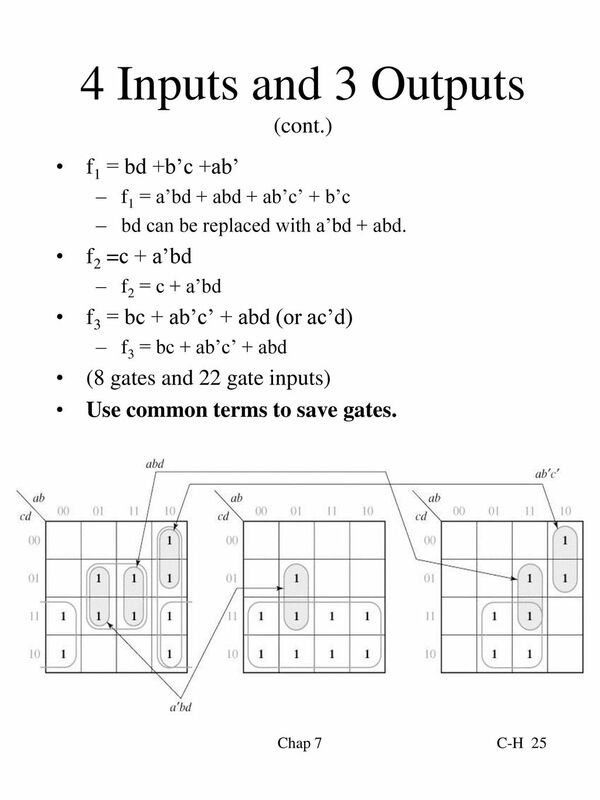 BOOLEAN ALGEBRA AND LOGIC SIMPLIFICATION AND gate F = A.B OR gate F = A + B NOT gate F = A NAND gate F = A.B NOR gate.